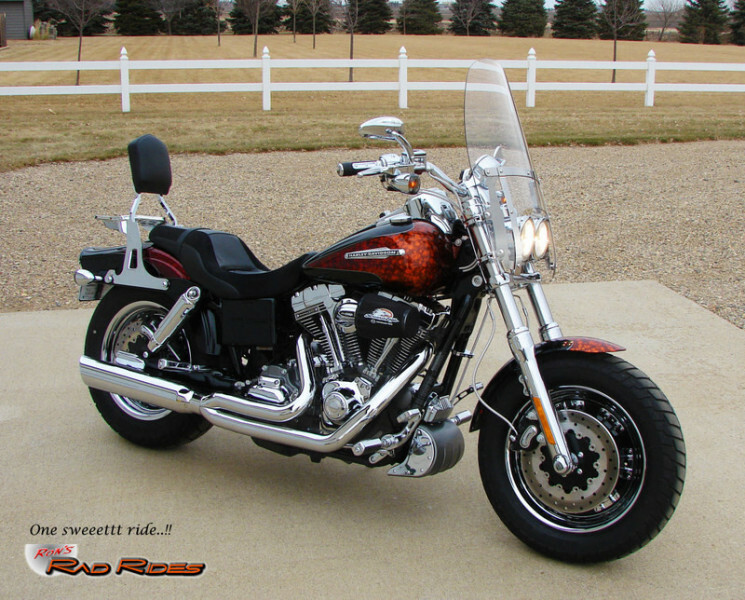 ONE-OWNER, 5000 MILES, $3500+ IN UPGRADES..!! 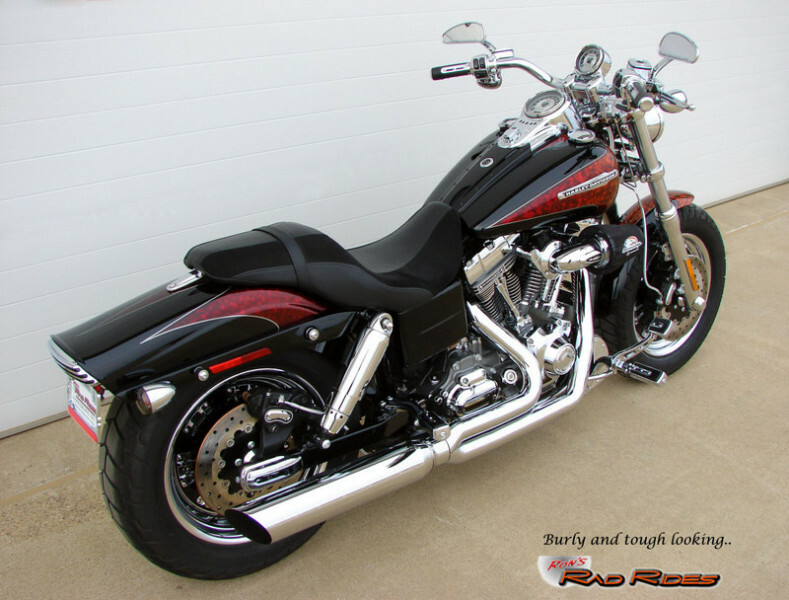 This is a one-owner SUPER NICE 09 Fatbob CVO Screamin' Eagle with only 5000 Actual Miles. 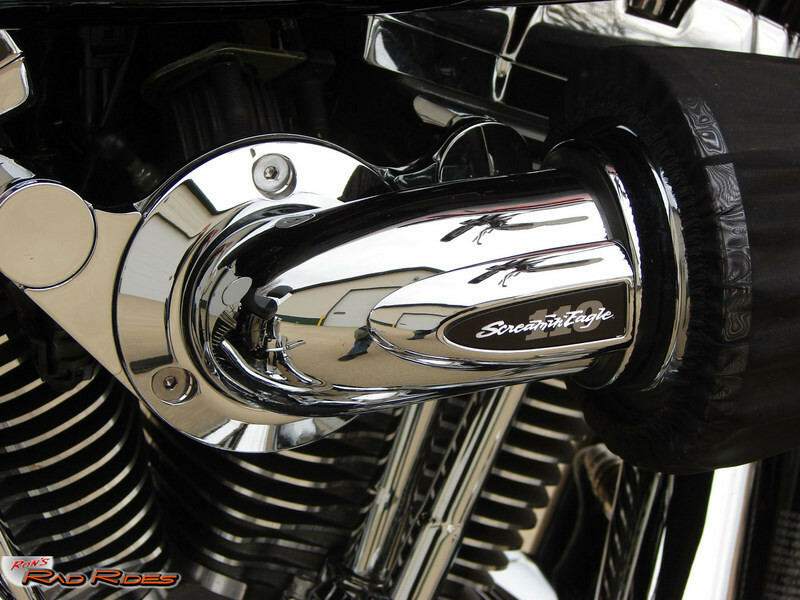 It has always been garaged and properly serviced. 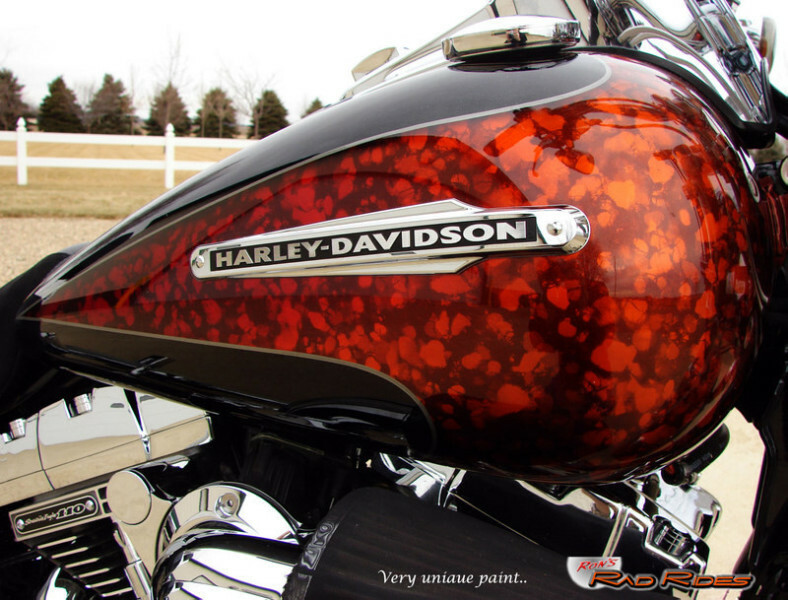 I don't think you will find one any nicer. 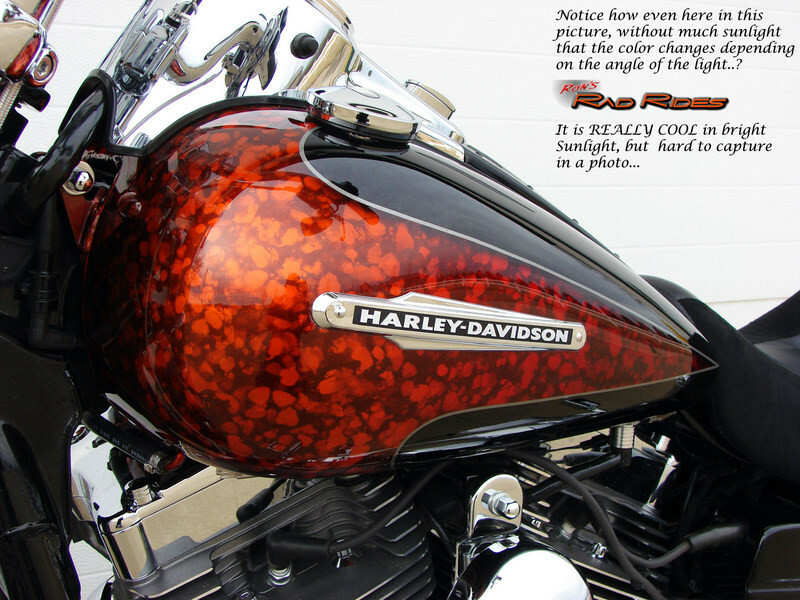 It is probably safe to assume there are only about 500 in this color of these bikes ever built from Harley Davidson's Custom Vehicle Operation's facility, since the CVO History Page on their website says a TOTAL of only 2000 CVO Fatbobs were built and that was in ALL FOUR of the different colors that were offered. 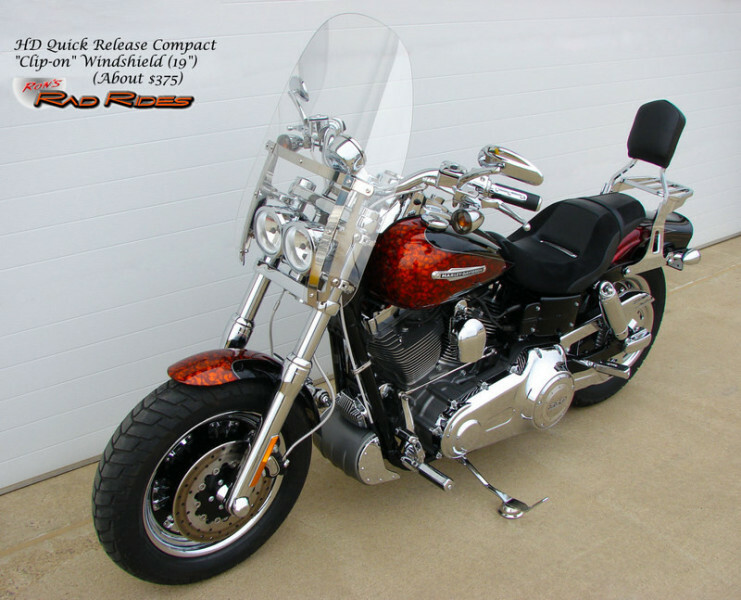 So, there simply are not that many of these around for sale. 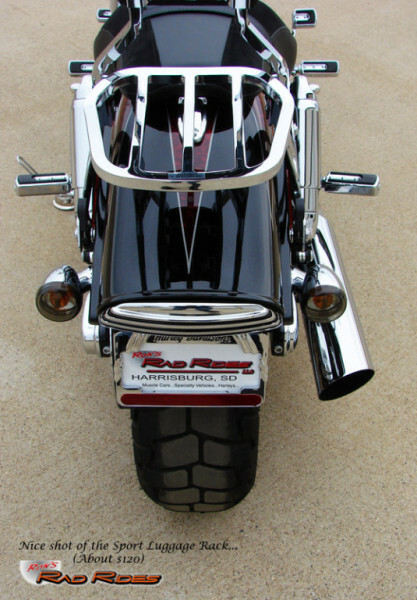 The 09 Fatbob CVO's are really quite a unique bike. 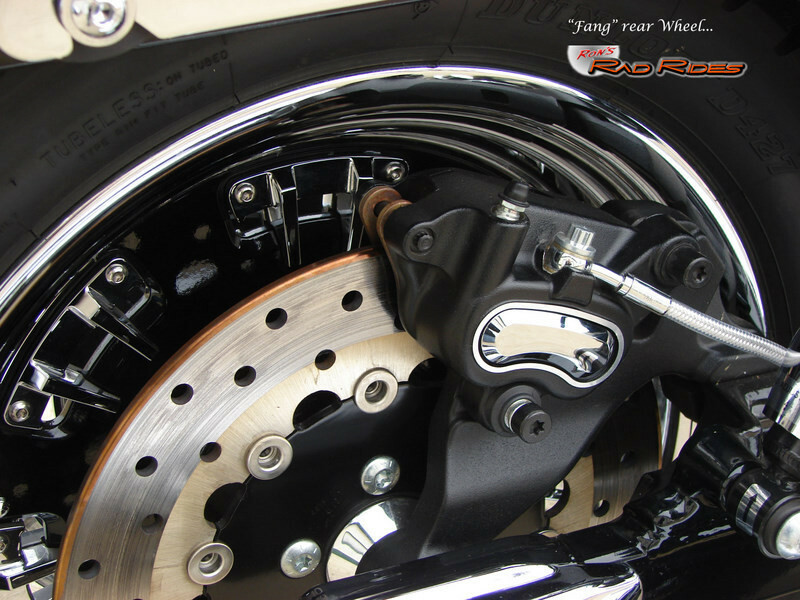 From the very cool "Fang" 16" Wheels, with the FAT 130mm Tire up front, to the porky 180mm Tire in the rear, this bike has a swagger with a rough and tough look to it, yet it rides superb and is engineered extremely well. 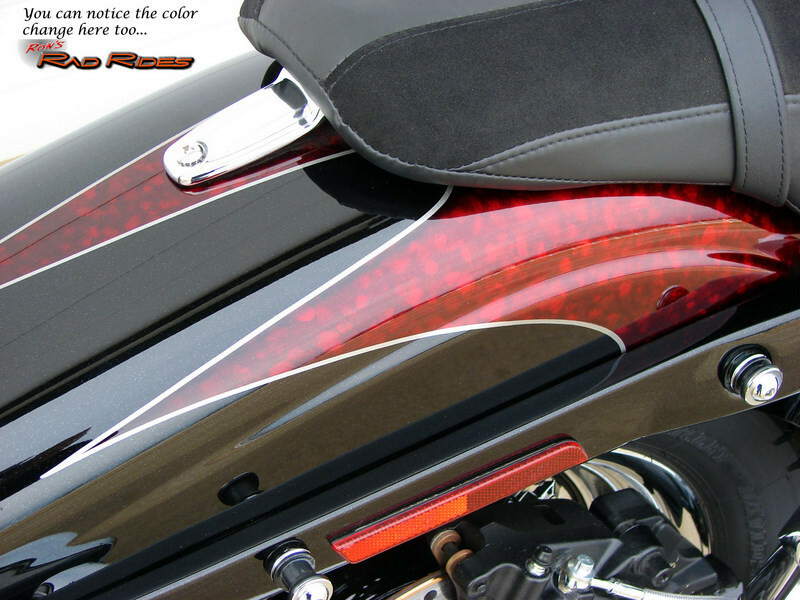 The Black Diamond/Fire Quartz paint job literally "comes alive" in the bright sunlight. 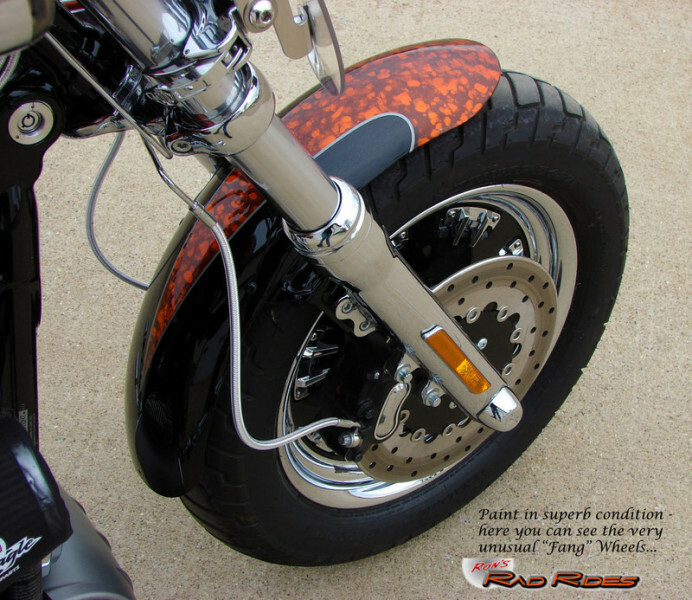 The Fire Quartz portion changes from shades of Red to an awesome Orange appearance depending on the angle you are viewing it from. 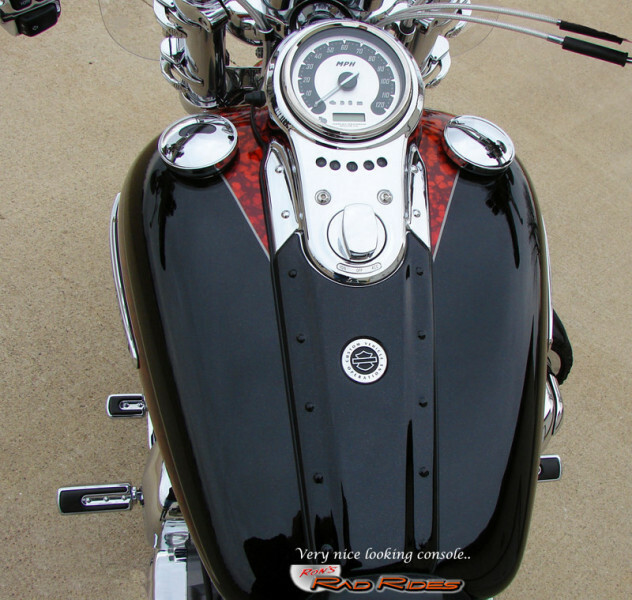 The Black Diamond Paint is named that for a reason. 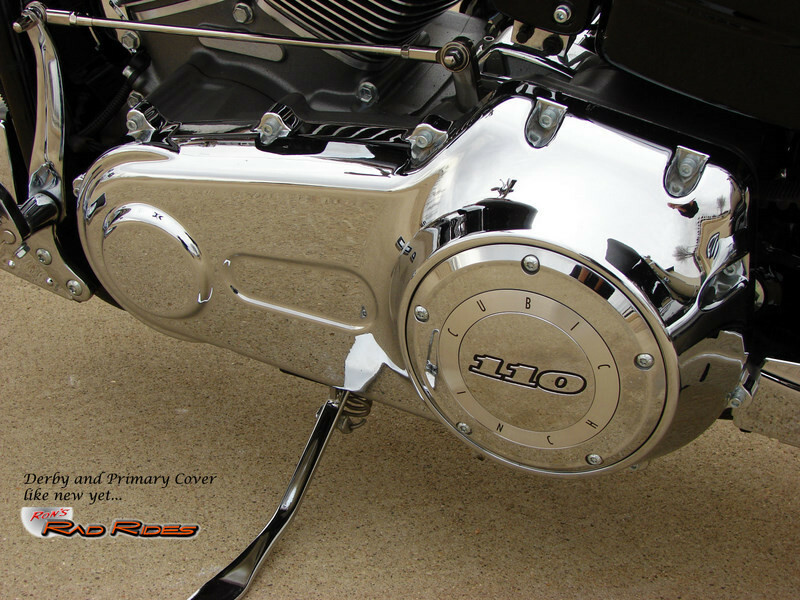 When you also view that up close with proper natural lighting, you will notice very cool LARGE flecks of Silver Metallic in the paint. 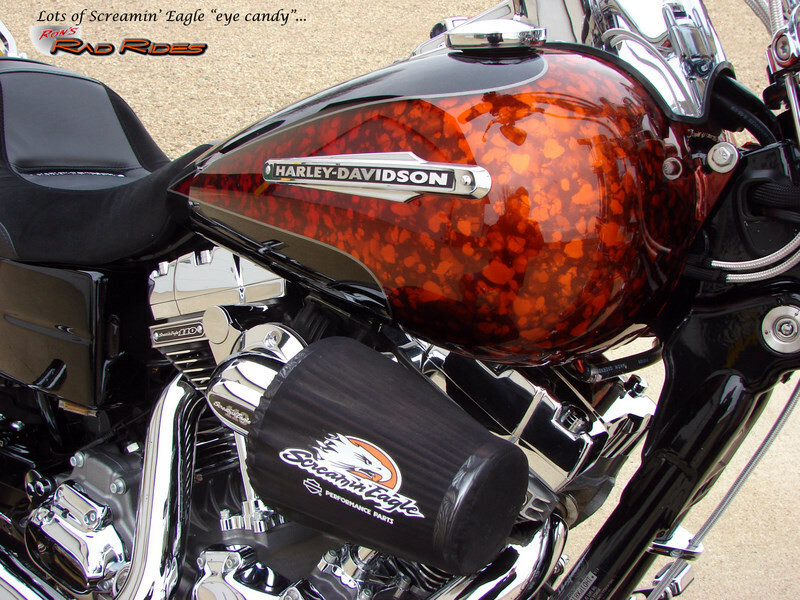 It really is a very cool paint job on this CVO..!! 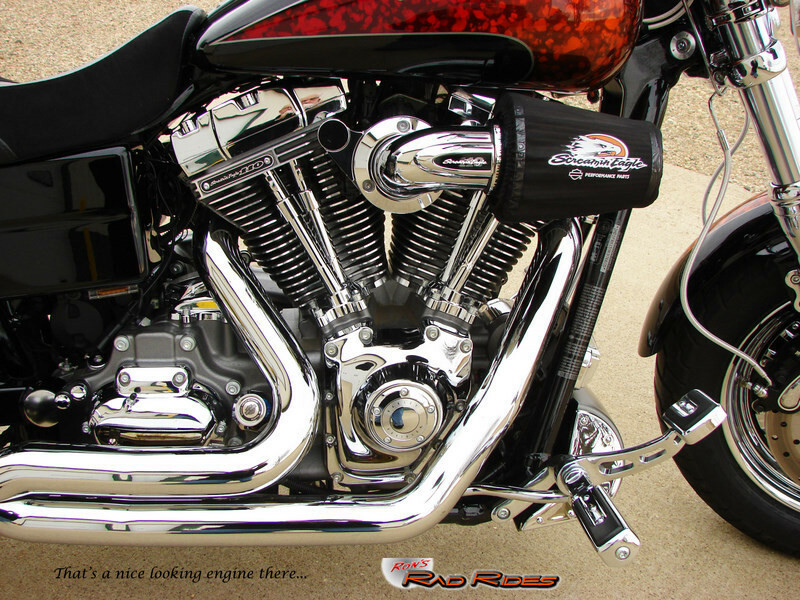 Another custom touch to this CVO Fat Bob is the addition of the Heavy Breather Intake System. 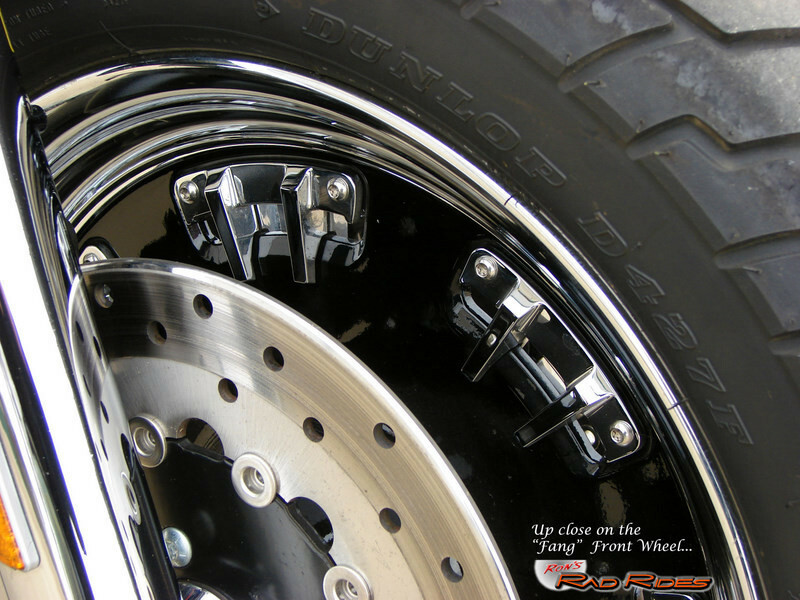 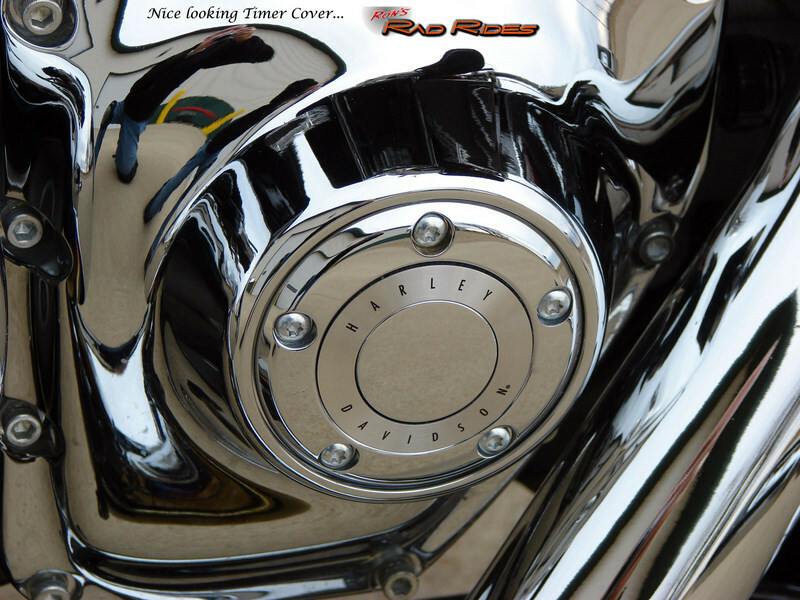 Yes, it adds a few numbers to Torque output, but we know the main reason it's there - it just looks cool! 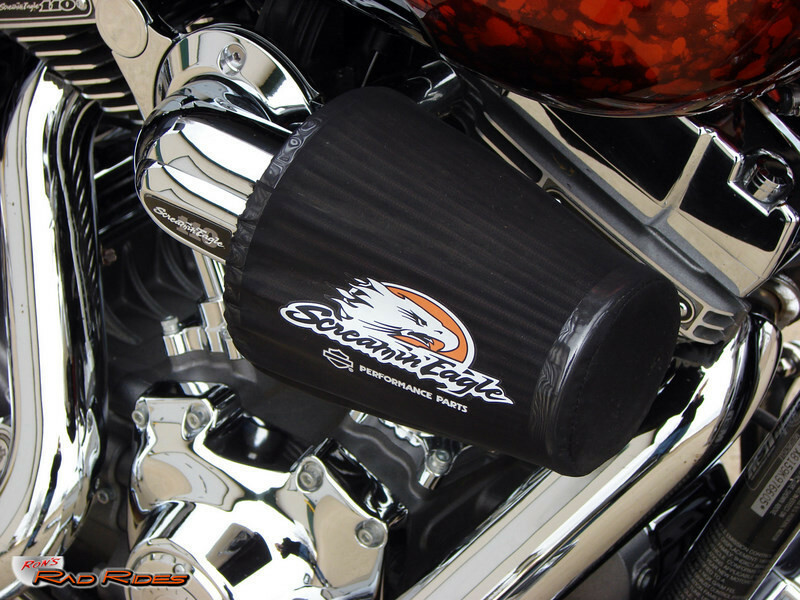 The sleek forward-facing Chrome Cone with the Screamin' Eagle Rain Sock has a special Chrome End Cap and a '110 SE Emblem on the neck to leave no doubt about where the power is coming from. 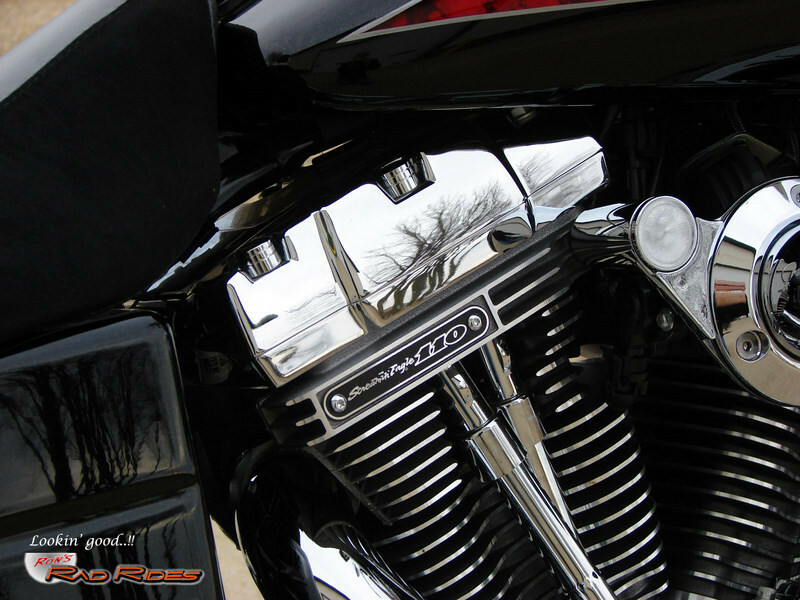 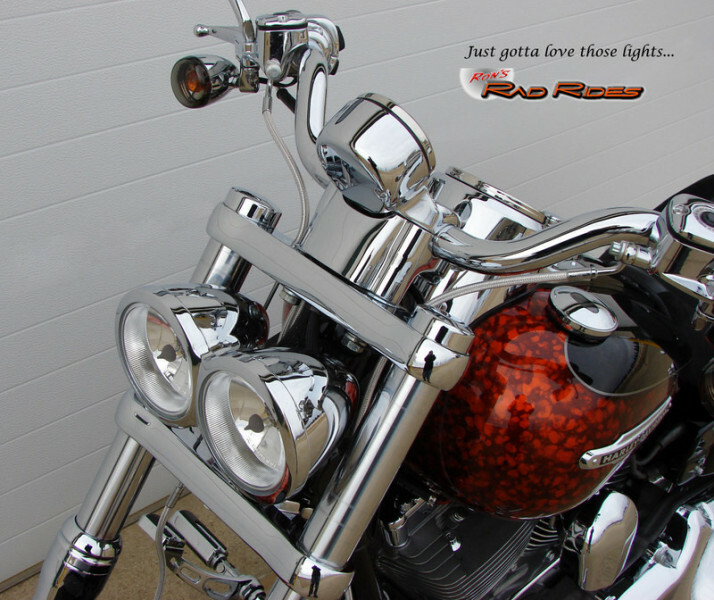 The Dual Headlights also make this CVO Fatbob stand out from any of the other FX Series. 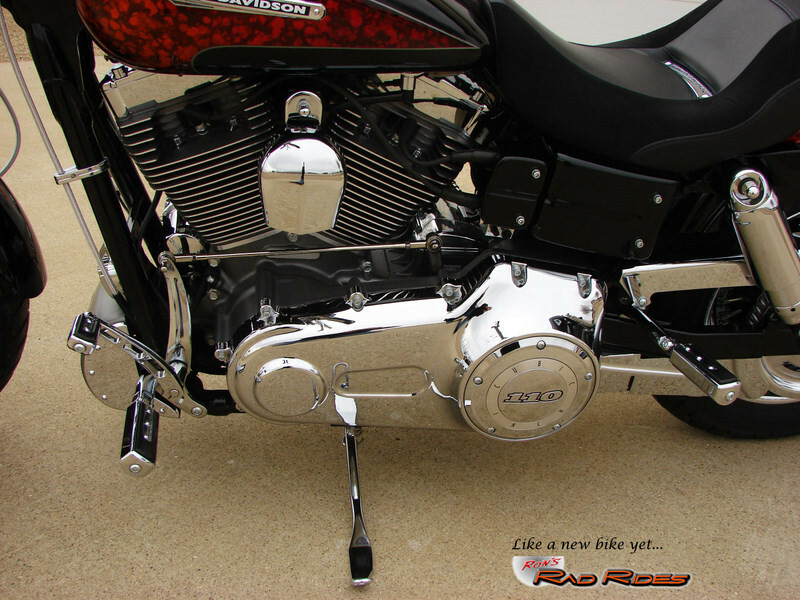 With the 110 Engine and the 6 Speed Transmission, you definitely have a bike that "gets with the program". 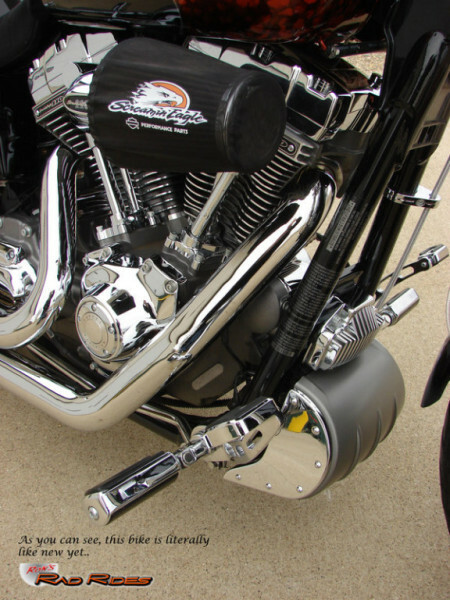 But.., CVO performance alone wasn't enough for the original owner..!! 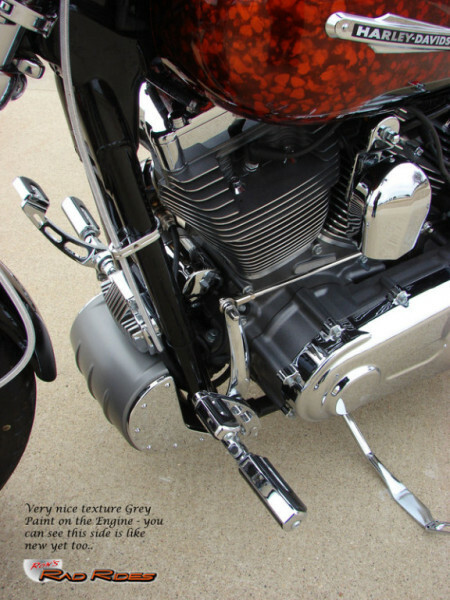 He also installed the D&D Fatcat 2 into 1 Exhaust, and the HD Screamin' Eagle Street Performance Tuner Kit. 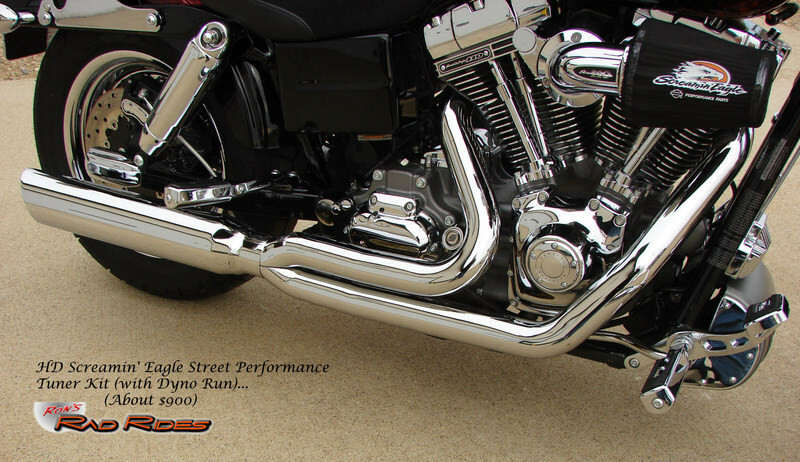 After the final Dyno Run with the Race Tuner installed, the Horsepower is now in the 100 range and the Torque around 122..!! 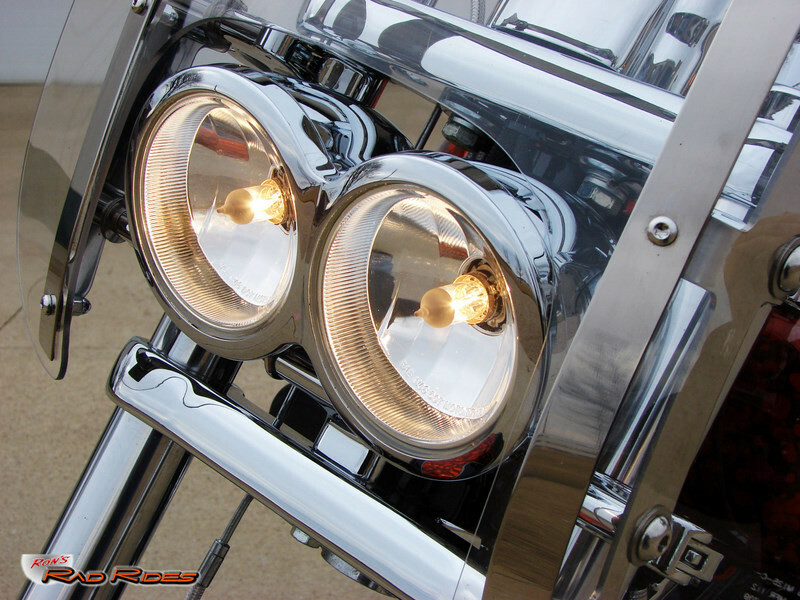 As you can imagine with a bike this light, that is some SERIOUS PERFORMANCE.! 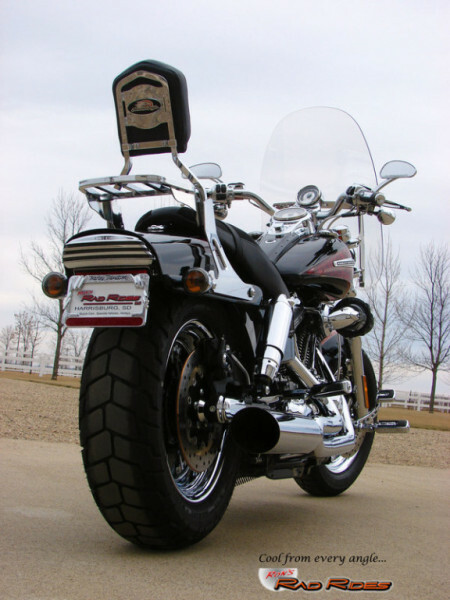 A total BLAST to ride! 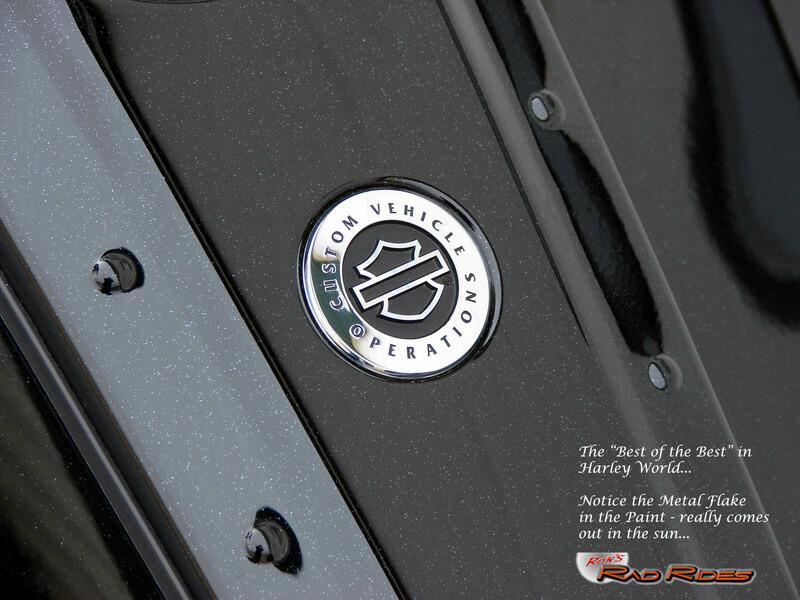 There's also a few other notable details that lend to this CVO Fat Bob's appeal. 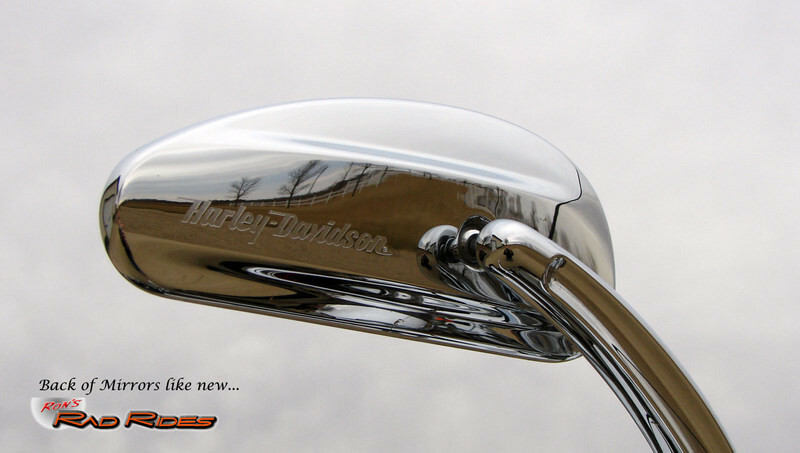 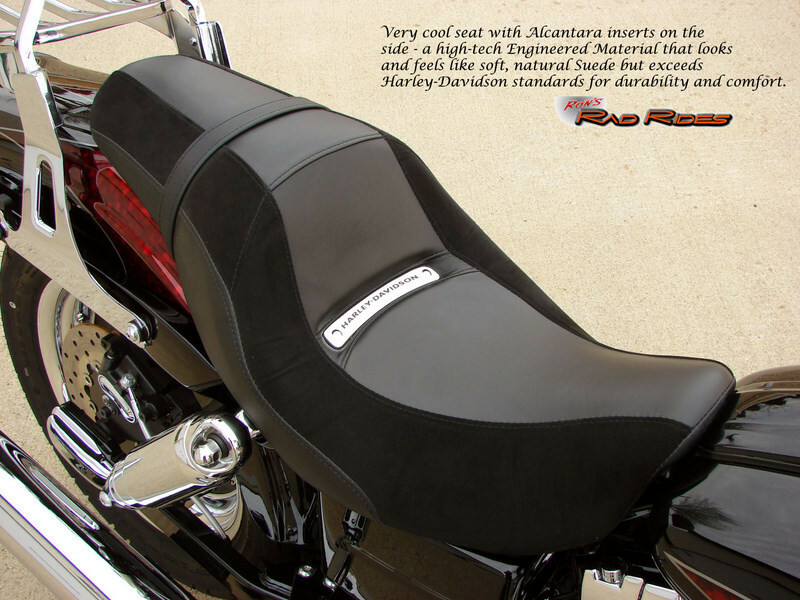 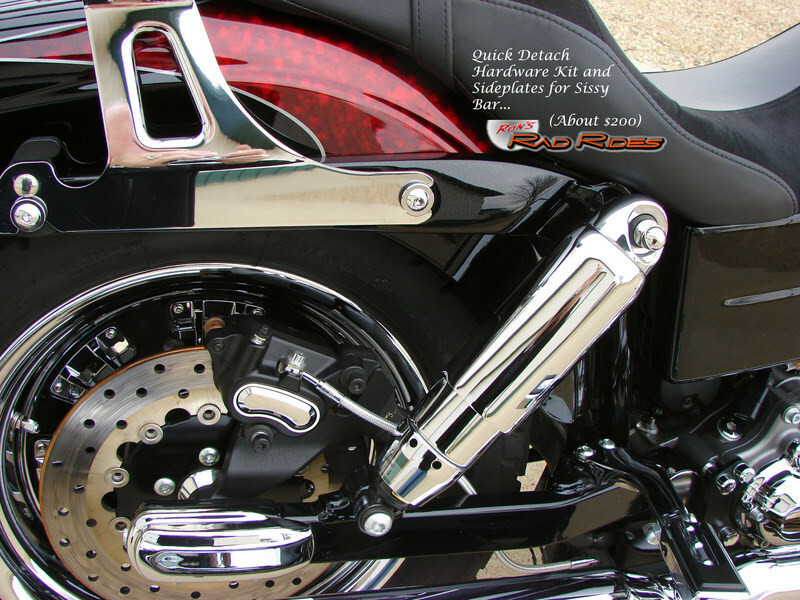 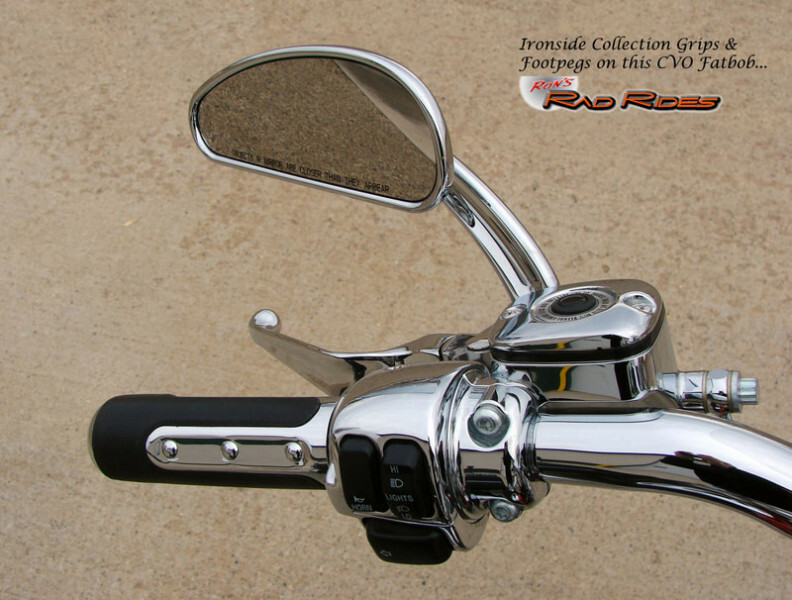 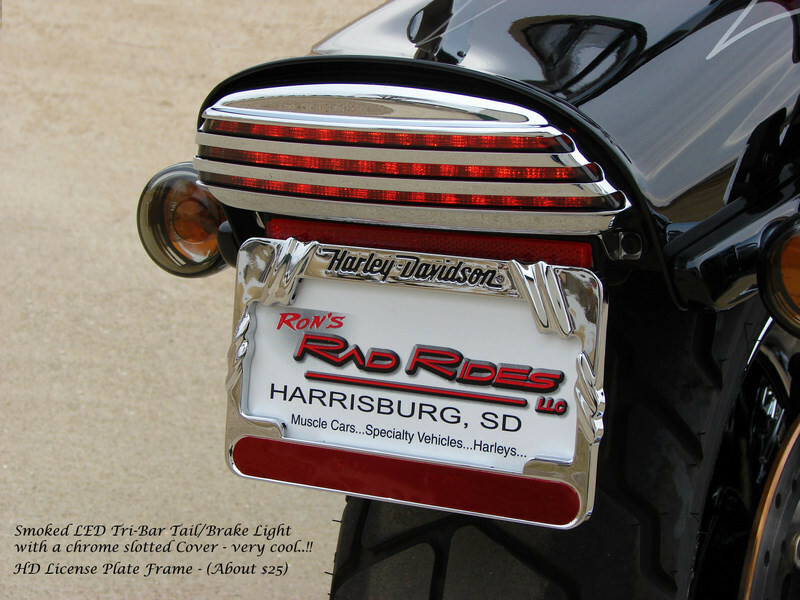 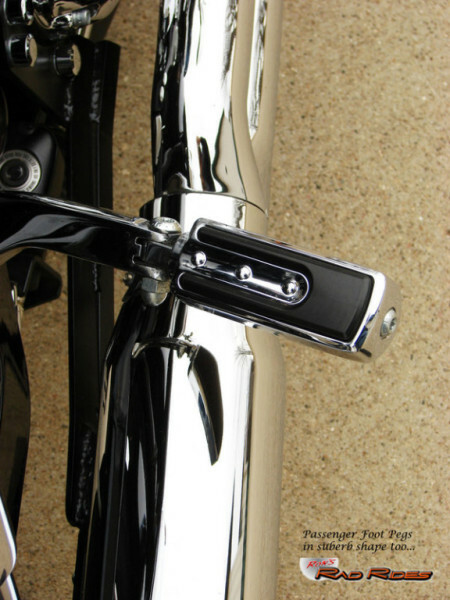 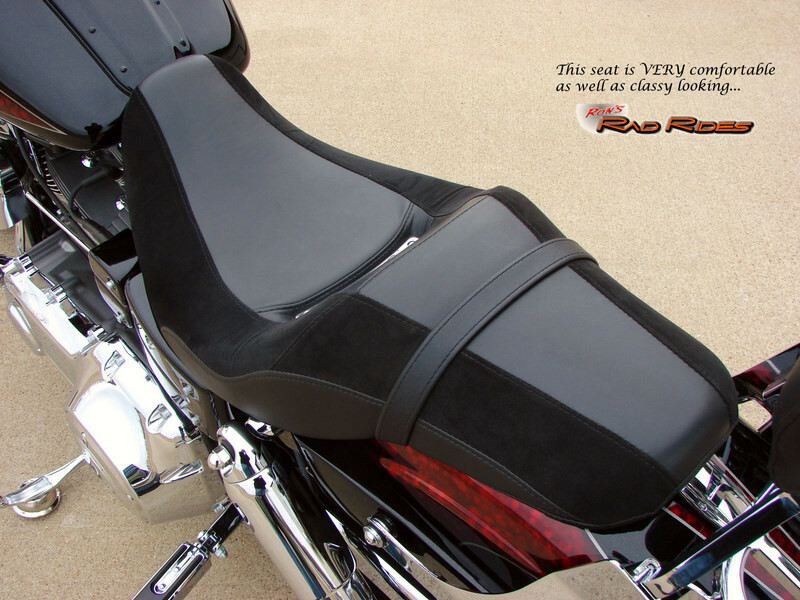 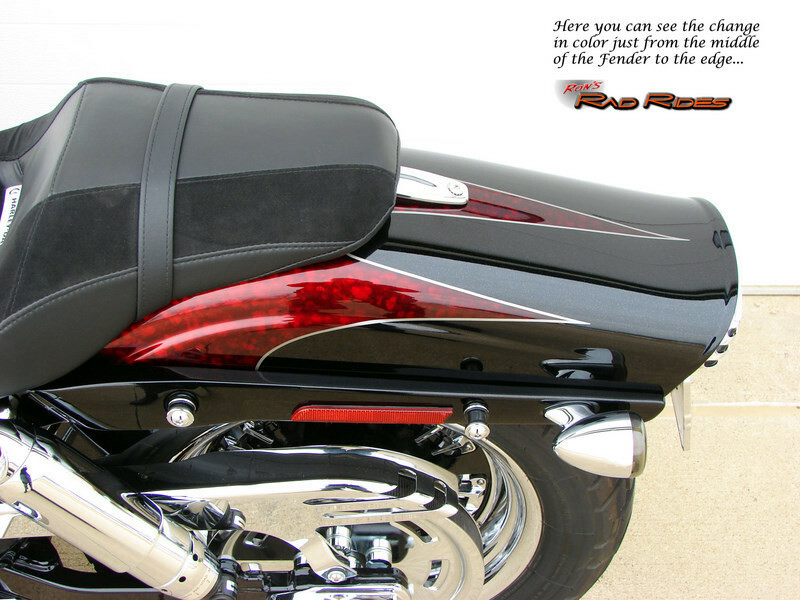 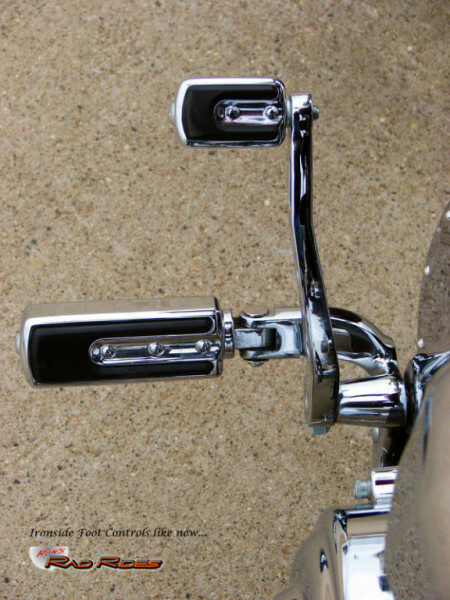 The granite and chrome Chin Spoiler tidy up the bottom of the Frame, while a new material on the motorcycle’s seat features a surface covered in Alcantara, a high-tech Engineered Material that looks and feels like soft, natural Suede but exceeds Harley-Davidson standards for durability and comfort. 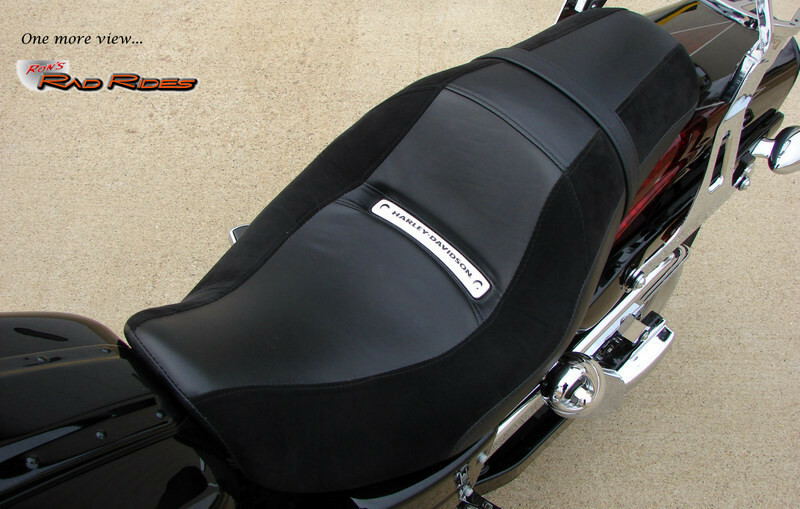 The remainder of the seat is smooth black Leather, and it’s finished with a recessed chrome Harley-Davidson Medallion. 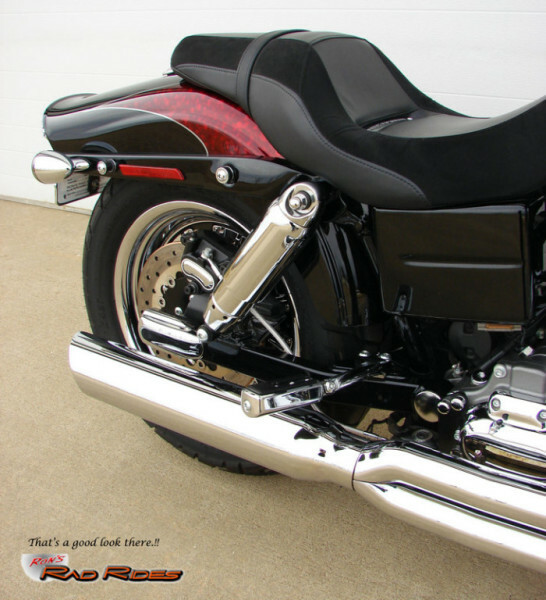 The seat rests over a wide Bobtail Rear Fender that holds a smoked LED Tri-Bar Tail/Brake Light with a chrome slotted Cover for a sinister look in the back. 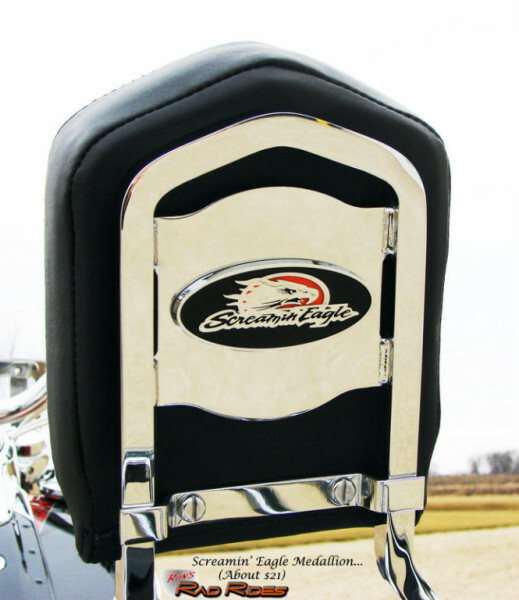 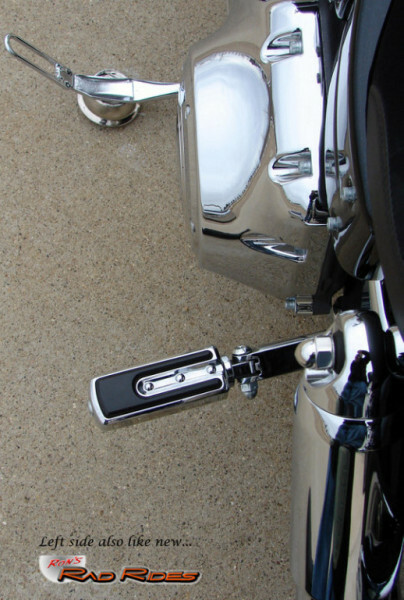 Also, in addition to the Race Tuner and the D&D Fatcat Exhaust, an HD Quick Release Backrest with an attached Sport Luggage Rack was added along with a great looking Screamin' Eagle Insignia mounted on the rear facing portion of the Back Rest. 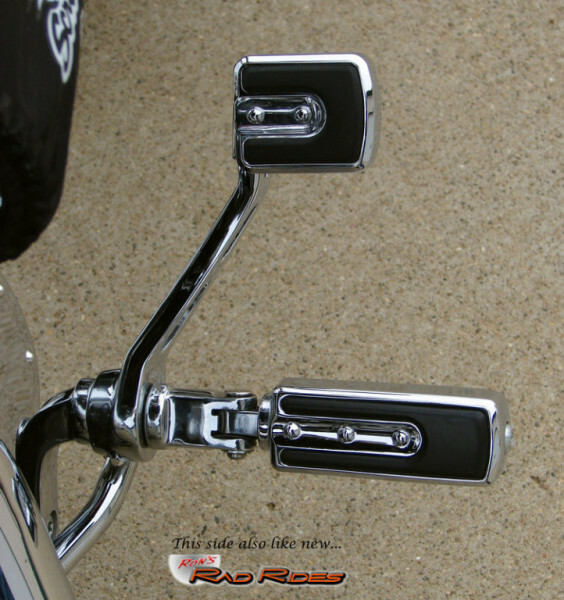 (Maybe he wanted everyone to know what was IN FRONT when he was leading the way..!!) 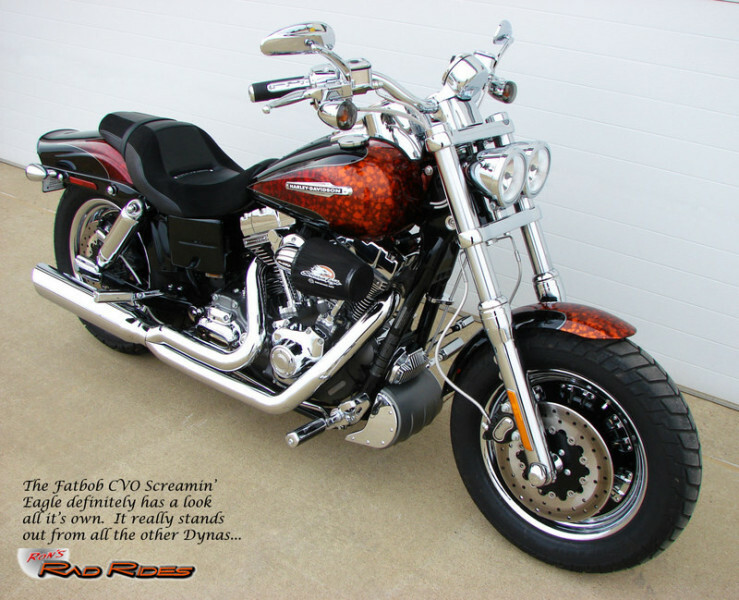 No mistaking that fact with this cool CVO Fat Bob! 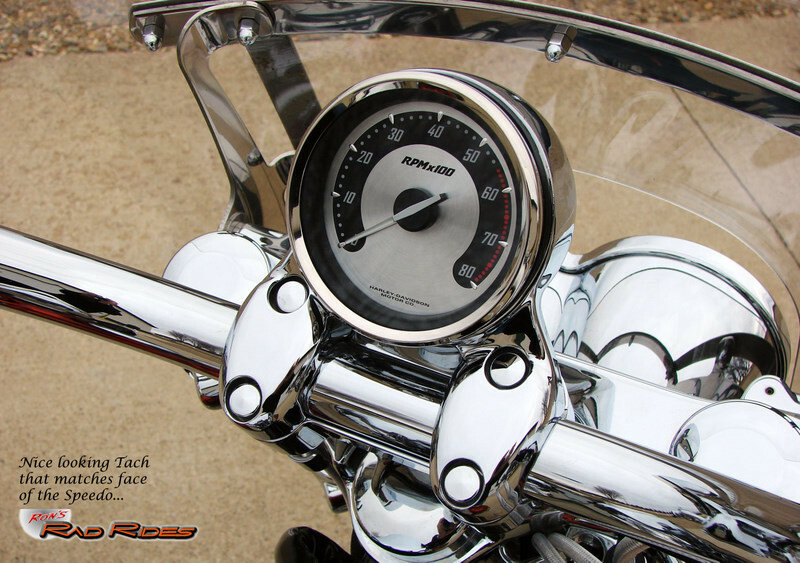 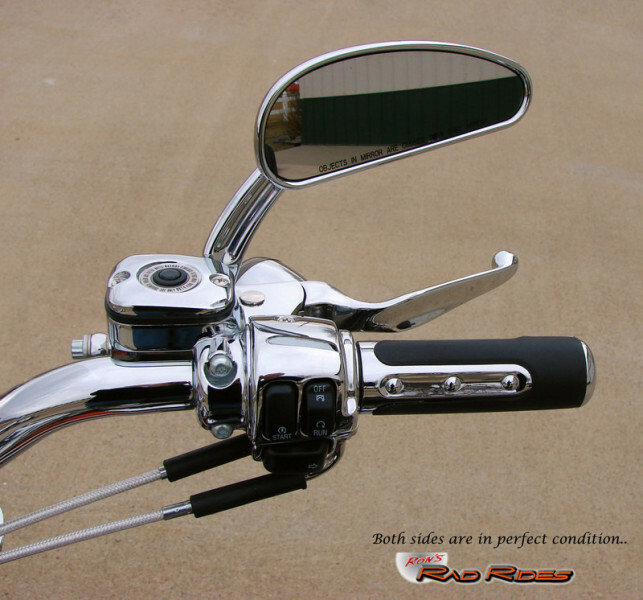 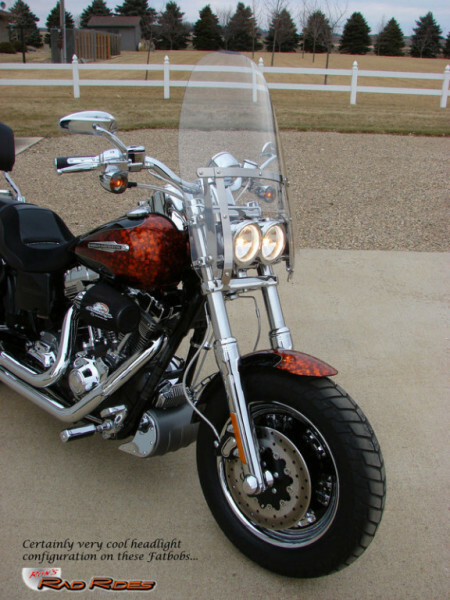 A "Clip-on HD Windshield was also added for additional comfort on those longer trips. 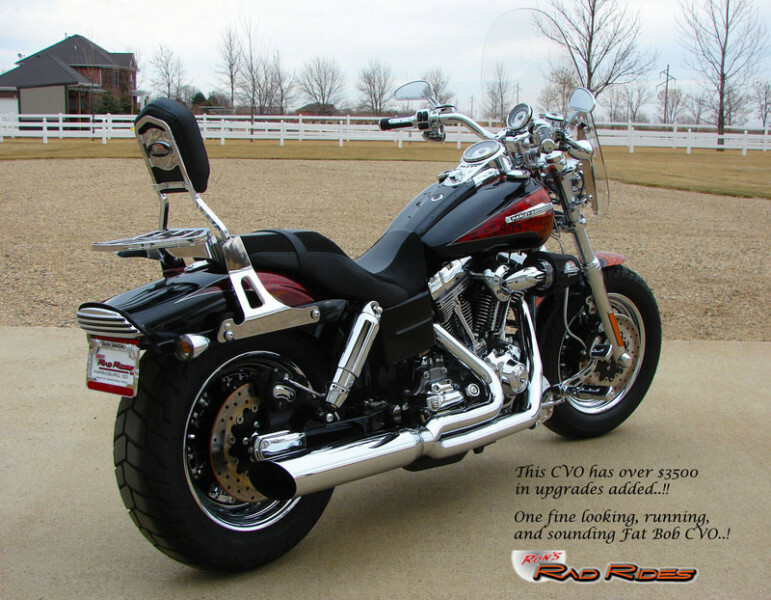 Seems to me like the perfect CVO Fatbob for either cruising around in town or on that long trip. 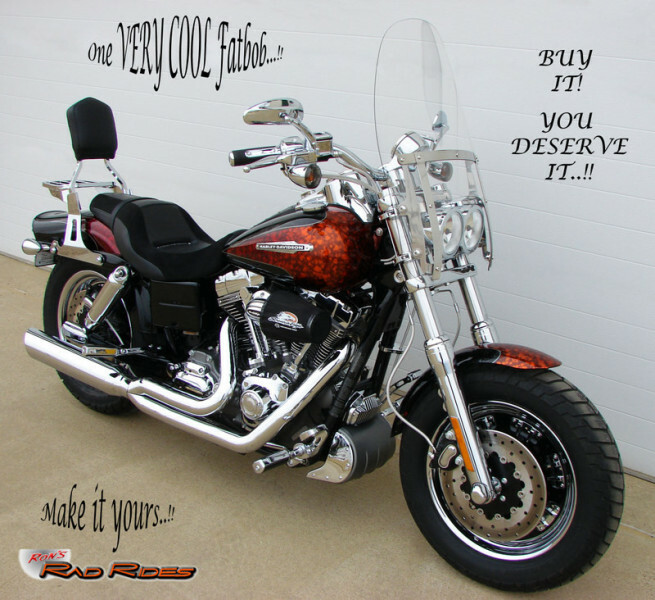 Either way it's a winner..!! 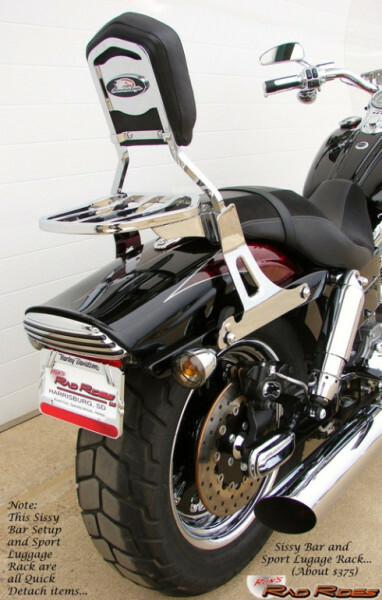 Note: #1 This bike has an original investment of over $30,000..!! 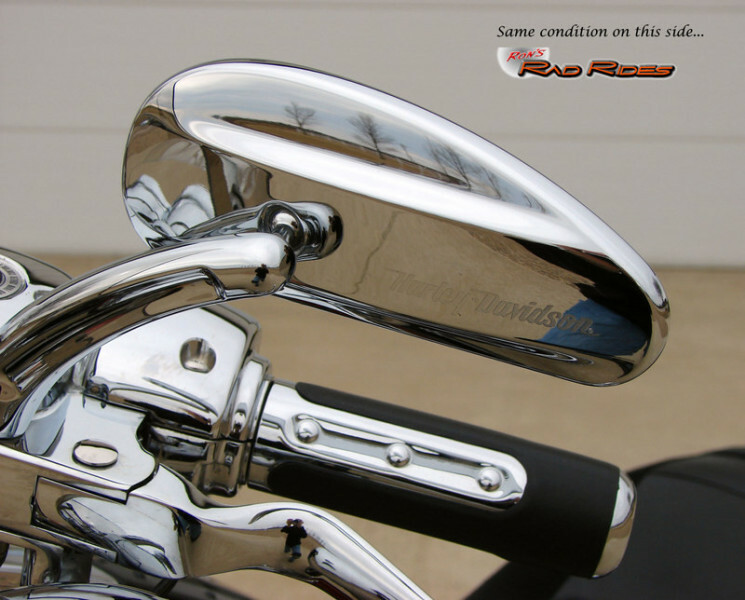 For what I have it priced at, you are saving approximately $10,000 by purchasing it now rather than new, AND, it is hardly broken in and LIKE NEW yet! 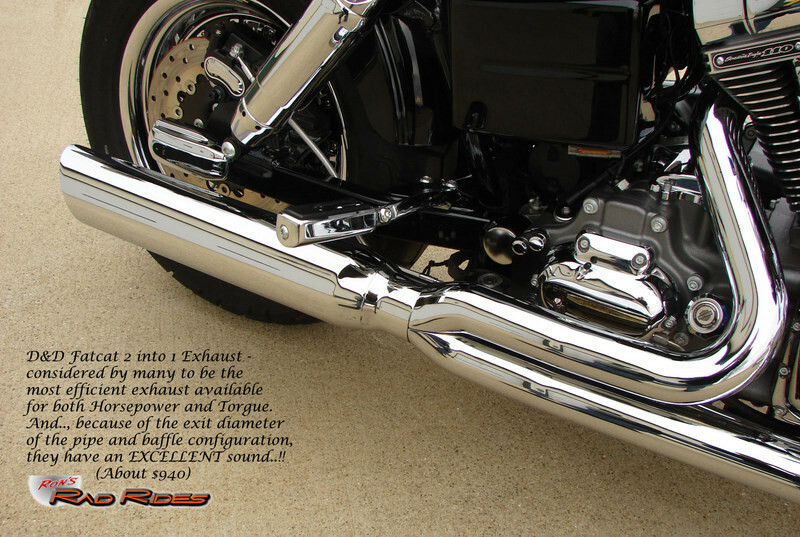 How can you beat that deal, especially with all of the upgrades it has..!!?? 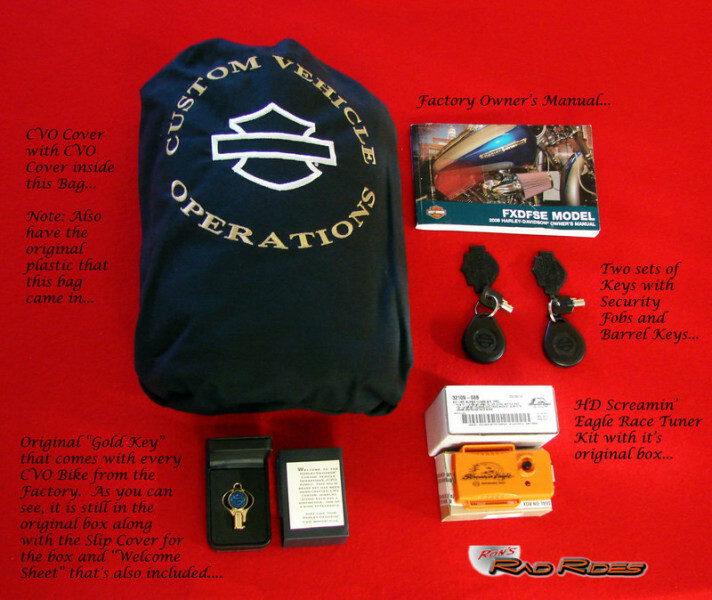 Note: #2 This 09 Fatbob CVO also includes the following Original Factory Accessories/Items: Owner's Manual, CVO Black Cloth Bike Cover and Bag (both cover and bag in original plastic), Gold Key in the Original Black Box, SE Race Tuner Dongle, Two Security System Key Fobs, and Two Barrel Keys.